Standing tall at 6ft 4in and weighing in at 242lb, the imposing figure of Nick Koster at the back of the scrum is certainly one that opposing forwards will be glad to see the back of. Described in the aftermath of last month’s Varsity defeat by coach James Shanahan as a “warrior and outstanding leader”, Koster certainly led from the front on the big day, not only scoring a try but leaving the field with blood gushing from an open eye wound and more blood pouring out from a cut on his head, an image which embodied the culture of bravery and unflinching commitment to the cause that Koster instilled in his team. “The feedback I had from players at the end of my captaincy was that it was, in spite of the loss, an experience that they really enjoyed and one of the best experiences of their lives. Unfortunately, rugby teams are measured by the scorecard but I think that there’s so much that we achieved in terms of the friendships that we grew and the experiences that we had and the team culture that we created was special. Koster’s Cambridge team, largely comprised of undergraduates, came up against a vastly experienced Oxford side containing seven players with professional experience. If anything, however, the team’s inexperience adds to Koster’s pride. “Throughout my professional career when you speak to people about their best rugby playing days most of those guys ironically enjoyed their amateur days more - I saw that when I played at Cambridge. “You’ve also got the fact that you play a load of friendlies and then you’ve got the one massive game at the end of it. I wouldn’t want to become like another rugby club that plays in a league - there are enough of those. 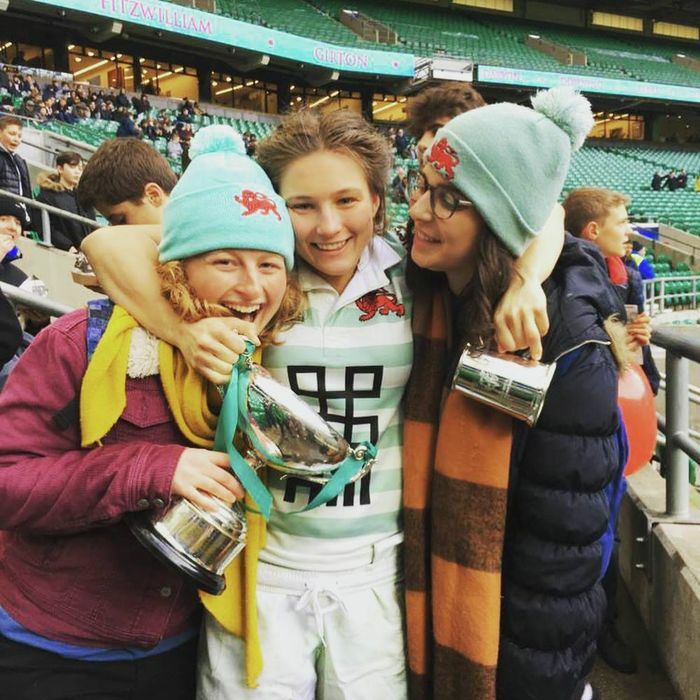 For me the unique experience was that it was twelve weeks and literally nothing else mattered apart from the Varsity Match. The memory of last month’s Varsity defeat is so fresh that it is perhaps easy to forget that Koster was part of the 2017 match-winning Varsity team, a moment which he ranks as his proudest achievement in a rugby career which also included appearances for the South Africa Under-20 team and the Barbarians. Dedicated, courageous and eloquent all at the same time, Nick Koster will certainly be remembered as a legend of Cambridge University rugby.